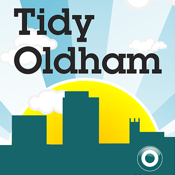 The Tidy Oldham app allows you to report problems such as graffiti vandalism, fly-tipping, litter on your street etc to your Local Authority. together to improve local environmental quality. The reports that you post are available for everybody to see. You can also see issues reported by local authority staff, police, local councilors and other partners. LCS also encourages those positive images of your local environment that you would like to share with others. Tidy Oldham is much more than a reporting tool. Tidy Oldham demonstrated that we can go way beyond making it ‘easy’ for citizens to report problems. We want to tap into the huge potential for local authority staff and partners to post their reports, and share what they’ve done with you.